He brought beauty into the world. Slack Key guitar is beautiful no doubt about it. If it doesn't touch your soul or your heart, then you have bitterness that needs to be exocised RIP Cyril. Mahalo. Forgive my ignorance, but what is slack key guitar? That vid was very pretty. In a few words.... The Spanish / Mexicans brought guitars to the islands in the 1800’s. The Hawaiians tuned the guitars to open chords (like DGDGBD, and others, thereby “slacking” the strings from standard tuning). They incorporated the guitar in to their song and hula tradition in the 1800’s. It’s usually played with the thumb doing the alternating bass strings and fingers doing melodic and chordal work. Along comes Joseph Kekuku who raised the strings off the fretboard and noted the open-tuned guitar with a steel bar. This evolved in to Hawaiian Steel guitar, to electric lap steel, etc... So, your pedal steel (if that’s what you play) is very directly related to the Hawaiian Slack Guitar tradition! That’s the way I see it, anyway. 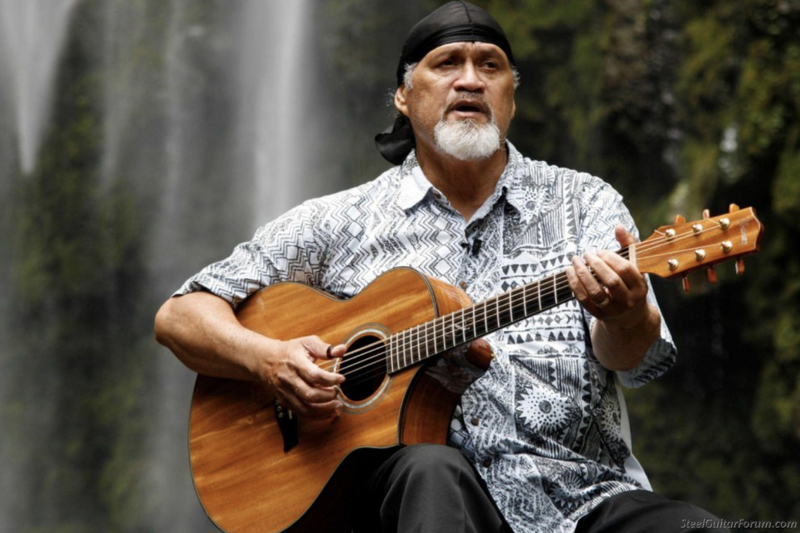 Mr Cyril was a very important force in maintaining the Hawaiian music and cultural traditions. He will be sorely missed. I was fortunate enough to meet him and hear him play a few times. A huge loss. My condolences to his family and friends, especially Jeff Au Hoy.